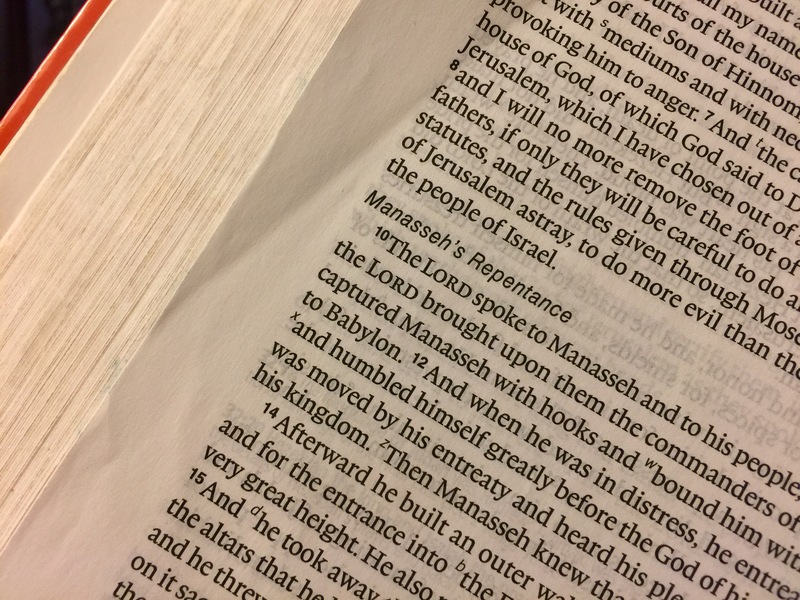 Wednesday night’s Bible study featured a popular recurring topic: Does God, as portrayed in the Old Testament, seem different—less merciful, more violent—than the God that Jesus Christ and the apostles reveal to us in the New Testament? If you know me at all, you know that I’m a stickler about this question: First, God doesn’t change, regardless how the Bible portrays him. But even more, I believe the Bible’s portrayal of God is consistent between the two Testaments. By all means, Jesus reveals more about who God is, and we see in Christ the full extent of God’s love, mercy, and compassion in a way that we can’t in the Old Testament. But this is not to say that Jesus contradicts the Old Testament’s portrayal of God as being committed to justice, having justifiable wrath toward sin, and punishing evildoers who won’t repent of their sins. In fact, most of what we know about final judgment and hell, for example, we learn from the lips of Jesus himself in the four gospels. And in Revelation 19, the sword-wielding rider on the white horse, whose robe is dipped in the blood of his enemies and who avenges evil, is Jesus himself. My point—heaven forbid!—is not that God isn’t as gracious and merciful as we think he is in the New Testament, but that he’s just as committed to justice as he is in the Old Testament. In fact, on the cross of his Son, God’s perfect justice and his perfect love meet. Far from being at odds with one another, God’s commitment to justice flows from his perfect love. Having said that, the Old Testament bears witness to God’s profound grace and mercy. In our Bible study, we discussed many examples of this, including the Bible’s repeated affirmation that God is “merciful, slow to anger and abounding in steadfast love, and relenting from disaster” (Exodus 34:6; Psalm 86:5, 15; Joel 2:13; Jonah 4:2). But one of the best examples of God’s mercy, which I didn’t think about until this morning—when I read about him during my quiet time—is Manasseh, king of Judah, in 2 Chronicles 33. Manasseh, like so many kings of Judah before and after him, “did what was evil in the sight of the Lord” (2 Chron. 33:2). The difference is the scale of his evil: he was literally the worst of a bad lot. Child sacrifice, sorcery, idolatry—you name it, he did it. And he led his people into these sins as well. In fact, 2 Kings 21, which also recounts Manasseh’s story, tells us that Manasseh’s wickedness is the primary reason that the Southern Kingdom of Israel fell. [Manasseh] was in distress, [and] he entreated the favor of the Lord his God and humbled himself greatly before the God of his fathers. He prayed to him, and God was moved by his entreaty and heard his plea and brought him again to Jerusalem into his kingdom. 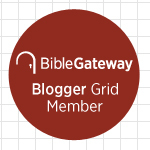 Then Manasseh knew that the Lord was God. And for the rest of his reign, Manasseh’s life bore witness to his repentance, which you can read about in 2 Chronicles 33:14-20. Let’s notice a few things about this: God dealt Manasseh what C.S. Lewis calls a “severe mercy”: God allowed Manasseh to suffer for his sin, but not merely for the sake of suffering. Rather, God used his suffering to bring him to repentance and to deeper faith in him (to say the least). This ought to remind us of something that the New Testament teaches repeatedly: that God disciplines his children (Hebrews 12:6) and uses trials and testing for our own good (2 Corinthians 12:7-10; James 1:2-4; 1 Peter 1:6-7). Manasseh’s story reminds us that it’s never too late to get our lives right with God. As long as we have breath in our lungs, we still have the opportunity to repent. For the sake of our souls, let’s not waste it. Finally, if God can forgive Manasseh, whom the Bible describes as the worst in a long line of bad people, well… don’t you think God can forgive you and me? If that’s not grace, I don’t know what is! This entry was posted on	June 1, 2017 at 1:39 pm	and is filed under Uncategorized. Good point about Manasseh and how his experience manifests God’s mercy, even pre-Christ. This story does, however, raise an interesting question for me–what role do our pre-salvation (or post-salvation, for that matter) misdeeds play into the ultimate rewards and punishments scenario? I note that in the “earth time” scenario, there seem to remain “consequences” for the “errors.” Thus, with David the child died and the sword never departed from his house due to his tryst with Bathsheba. This was so despite the fact that “God has forgiven your sin.” Similarly with Manasseh, despite his being forgiven, somewhat similarly to David, the consequences of his evil pre-salvation life were visited on his progeny. Thus, for purposes of entry into “the presence of God,” our misdeeds, once salvation through Jesus has been obtained, won’t bar that (and especially not in eternity) (and leaving aside the thorny question of apostasy). But for purposes of “rewards and punishments” when we stand before “the judgment seat of Christ,” it appears our deeds, “whether good or bad,” will be taken into account. This obviously does not “override” mercy–being allowed into Heaven assures us of that. But God is “just and righteous” as well as “merciful,” and I think all aspects of God’s character come into play both now and in the hereafter in how we “end up.” Thoughts? I was reading Oden’s “Classic Christianity” a couple of weeks ago. The consensus view of the Church throughout the ages is that forgiven sin isn’t brought up in Final Judgment, even though God will often let us experience consequences (in this life) even for forgiven sin. I would call this “discipline” rather than punishment, but the distinction isn’t important for your question. Sin of which we haven’t repented, however, will be judged—and I suppose the punishment in which case would relate to our reward or lack. Just my guess. Yes, God is never changing; ever just and righteous. He can not abide sin. It is and abomination to Him. Therein lies the problem of fallen sinful man. God, in His love and mercy, wants to restore the relationship, but He cannot simply ignore the filth. And that begot the brilliance of the divine plan. The plan whereby a perfect atonement could be made in satisfaction of God’s righteous wrath. Whereby man could be reconciled to God. That’s the Gospel. Grant, what do you think about my “remaining aftereffects” query? I believe that all sin before regeneration is wiped away. Forgotten. As if it never happened. I completely agree with this, Grant. Like you, I’m far from clear, though. I think forgiven sin is, as far as we’re concerned, “forgotten” sin. But all other sin will have to be accounted for. I imagine this kind of judgment and purification happens in a flash. It may be painful, but I don’t think it’s something that we Christians have to fear. The “Judgement of Israel” is a type, but not necessarily the type, for God’s Judgement. One of the reasons that judgement is so hard to comprehend is that it is discussed within the context of the period at hand in the Bible. The Ezekiel verses may be meant only for Israel in the context of the coming exile. I think the words of Jesus are the best guide to understanding Judgement. He spent enough time on it. Disagreeing with Sproul is risky. The man is a freaking genius. But, of course, he is of the Reformed persuasion, so I am inclined in his favor. One point that I have considered in the past which also may bear on this question is this–can it actually be that what happens “on earth” will not “matter” in heaven? “For whatsoever you bind on earth will be bound in heaven, and whatsoever you loose on earth will be loosed in heaven.” In the profound words of someone I otherwise disagree with on some points, “Right now counts forever.” (R.C. Sproul) Thus, were the earthly part not to matter, why not just begin and end in heaven? For this reason, I think it ALL matters, good or bad, from eternity’s perspective. In other words, I don’t think that anything just has “earthly” consequences. To really “matter,” it must have eternal consequences (in my opinion). Otherwise, what we do now devolves almost into a mere “curiosity” item from eternity’s perspective. It will all be “gone,” so why worry about it now?